Co-designer Anthony Newman talks about the power of the PS4. Naughty Dog’s Uncharted 4: A Thief’s End has been impressing all and sundry with its visuals and action, earning strong praise at E3 2015. In a new Conversations With Creators video with Wil Wheaton, co-lead designer Anthony Newman talked about using the hardware to push the quality of environments and choice that players could have. With Uncharted 4, the level of visual fidelity has been significantly increased. So much so that cutscenes are now in real-time. “Another thing that’s super exciting is the fidelity of the characters. It’s just going crazy now. We’re actually doing real-time cutscenes in Uncharted 4, which is a new step for us. You’re not going to see those black bars that we used to have in between gameplay and cutscenes. That’s going to let us be so much more expressive and really get that seamless-ness between the storytelling and the gameplay. Which we already do very well, but it’s going to allow us to take it to that next level. 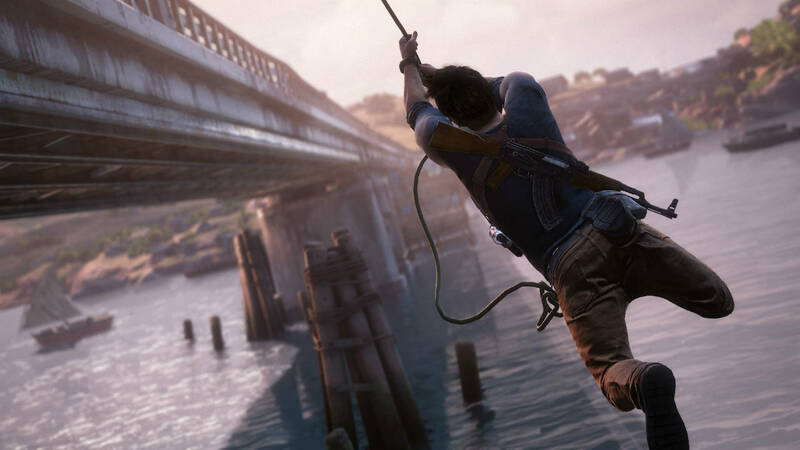 Uncharted 4: A Thief’s End will be out in early 2016 for PS4.